Pinnacle and Diamond Award Winner at Douglas Elliman for 12 years. Victoria is frequently quoted as a real estate expert in the New York Times, Real Estate Weekly, and The Real Deal. Victoria was also featured in another New York Times article as a Russian-speaking broker. Find out how the real estate market is trending by watching my YouTube Channel, About.com, and Arise TV videos. Victoria has also appeared on CNN and Al Jazeera America. Luxury Real Estate and New Development Specialist in Manhattan, Miami and Hamptons Luxury Real Estate Specialist, Licensed attorney in New York State. Languages: Russian and Hebrew. 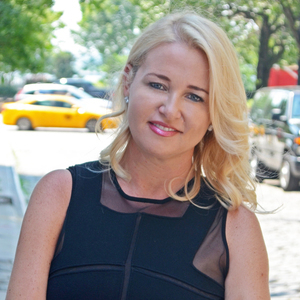 Victoria Shtainer is a veteran real estate professional with over a decade of experience working with buyers, sellers, and developers of New York property. With 16 years of industry experience, she embodies the skill, tenacity, and expertise to provide an exceptional experience to her clients. As a former litigator, Victoria’s strong mediation, arbitration, and negotiation skills make her an exceptionally strong advocate for her clients’ interests. Because of her strong negotiation skills and industry expertise, Victoria is a go-to industry leader in New York City real estate, representing doctors, lawyers, financiers, celebrities, and other high-net-worth individuals. At Compass, she has distinguished herself as one of the top producing brokers. Prior to real estate, Victoria worked for a litigator for 7 years. She remains a licensed attorney in the state of New York. Victoria possesses a seasoned knowledge of the Manhattan luxury residential market which has been paramount to her success. Representing both domestic and international clientele, she has broken records in several buildings throughout the city. Victoria’s keen insight and real estate litigation experience make her a strong negotiating presence which provides the results her clients expect. Victoria works well no matter what side of the deal she is on, assisting buyers, sellers, and landlords. When necessary, Victoria is able to work both sides of the transaction to get the deal done, delivering results for all parties. Additionally, her creativity in leasing has made countless landlords and investors praise her ability to get the deal done! Graced with patience, she truly understands her clients’ needs and desires. With her ability to visualize both space and possibilities in terms of aesthetics and value, she seeks out appropriate properties, often yielding opportunities where others are unable to conceptualize. Victoria is the founder and leader of The Victoria Shtainer Team, one of the premiere teams in the city. The team consistently closes multi-million dollar deals in all areas of New York, The Hamptons & Florida, ranking The Victoria Shtainer Team among the top producers at Compass year over year. The veteran team hails from diverse background including law, education, sales, and media & marketing. The Victoria Shtainer Team is uniquely positioned to meet the needs of clients in today’s ever-changing market. The Victoria Shtainer Team excels in marketing properties for their clients with creative solutions that are unrivaled from other teams. Each property is uniquely positioned in the marketplace to attract the right buyer in a timely manner. The Victoria Shtainer Team devises media plans for properties to gain exposure across print, digital, e-mail, and social channels. Victoria and the Team partner with the best photographers, videographers, and press outlets to ensure your property is represented in the best way possible. Victoria’s creative, thoughtful, and modern approach to marketing has proven successful time and time again. In addition to marketing listings, Victoria exhibits her expertise and creativity through her Blog, which consistently creates buzz throughout the industry and among her Sphere of Influence, and her monthly newsletter, Victoria’s View. Victoria further defined herself as an innovator in the space when she developed and built a mobile app as well as created and released the Real Estate Moji app in the iTunes App Store. The press knows Victoria is an industry leader and go-to expert for the New York Luxury Market and Housing Market trends, so they frequently turn to her as the expert to weigh in. Because of her media savviness, she has been seen on CNN, Fox Business, and NBC to name just a few. Additionally, her commentary can be seen in leading publications such as The New York Times, The Real Deal, The Wall Street Journal, and Real Estate Weekly. Victoria enjoys the pursuit of perfection and helping her clients realize their dreams and goals for their home or portfolio asset. When selecting Victoria Shtainer as your broker, you get a team of experts who truly elevate the real estate experience. Outside of real estate, Victoria is a proud mother, avid indoor cyclist, and nature lover. She is passionate about philanthropy and enjoys being active in her school. Stunning high floor North East corner residence with breathtaking direct ocean, intracoastal and city views. This home in the sky features 2,929 SF of interiors and 806 SF of terraces, 3 bedrooms, 4.5 bathrooms, study plus maids quarter, private elevator entry. Residence comes fully finished with white marble floors and finished closets , gourmet kitchen with european designer cabinetry by Snaidero, Top-of-the-line appliances by Gaggenau. Jade Signature, designed by Pritzker Prize-winning architects Herzog & de Meuron with interiors by French design firm PYR led by Pierre-Yves Rochon, offers five-star amenities with full-service spa & fitness center, concierge services, resort style swimming pool, library, resident lounges, chef's kitchen, full-service restaurant and much more.